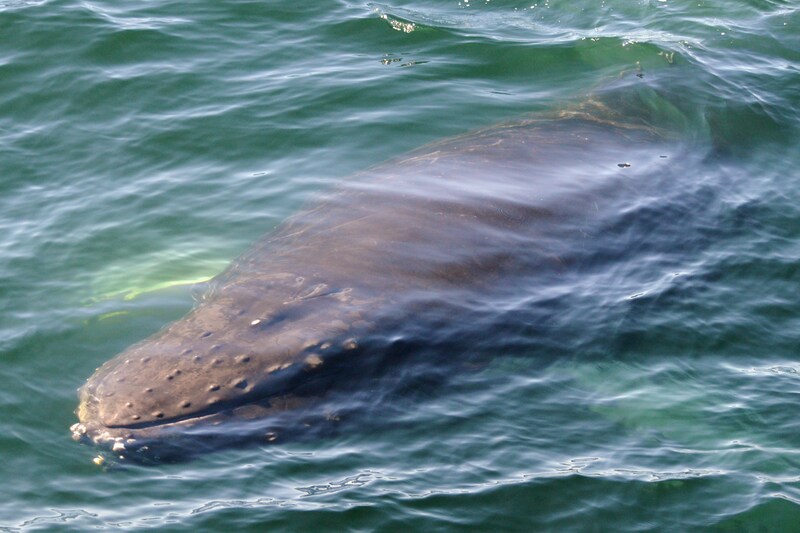 As if trying to predict the whales’ movements and follow them as they continue to feed on fish before making their migration south, we have also had weather to deal with lately. Strong winds have kept us at the dock for much of the last week, but we were finally able to see some whales by the weekend! Just to show how much of a difference a few hours can make, Sunday’s trips were completely different from one another. 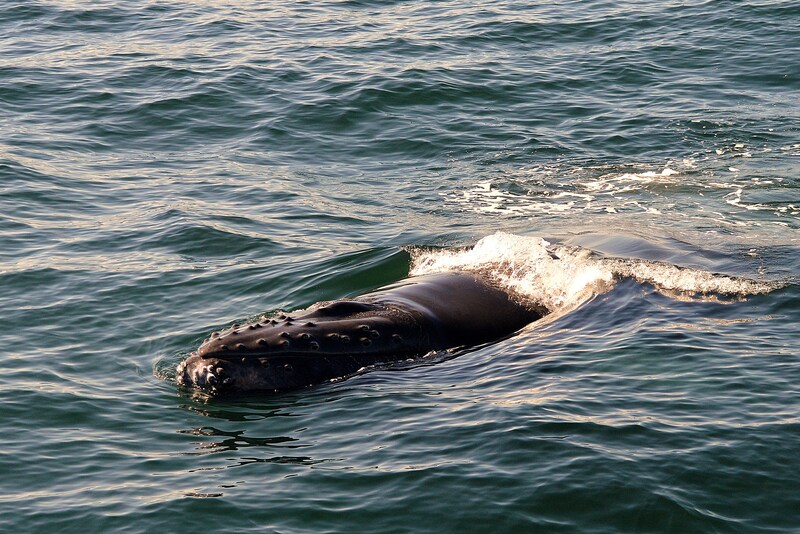 We had heard reports of whales to our north, however the seas were just too rough for us to head in that direction. By the afternoon, however, the winds had died down and we headed out of the harbor hopeful. 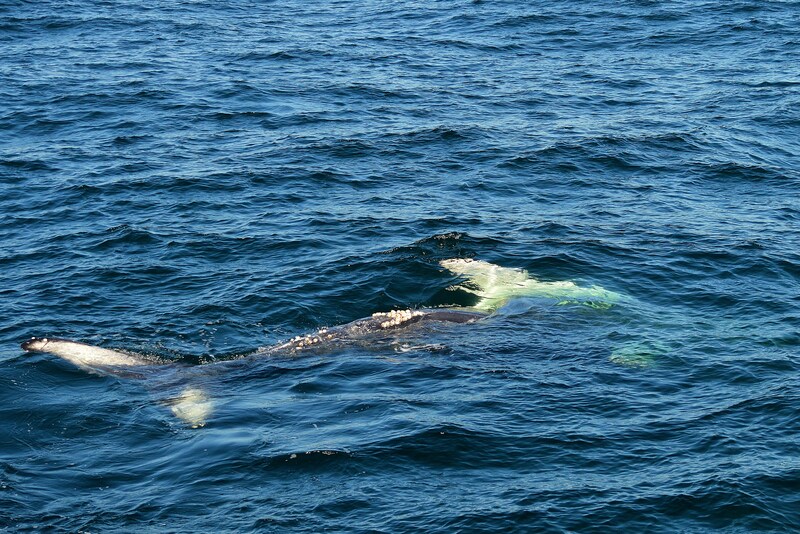 We were treated to a wonderful experience with a young humpback, who stayed at the surface for almost the entire time we spent with it. 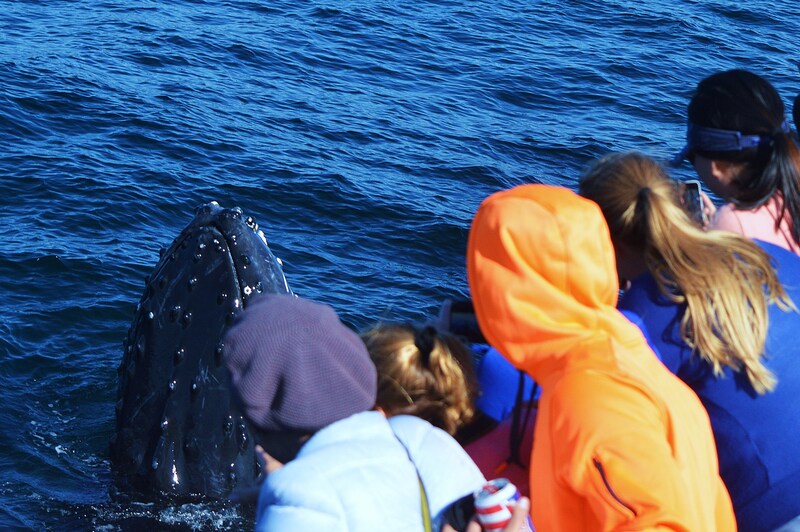 Much of that time, the whale circled the boat, turned on its side, and swam right toward us. It’s amazing to think of these animals becoming curious and wanting to take a peek at us. 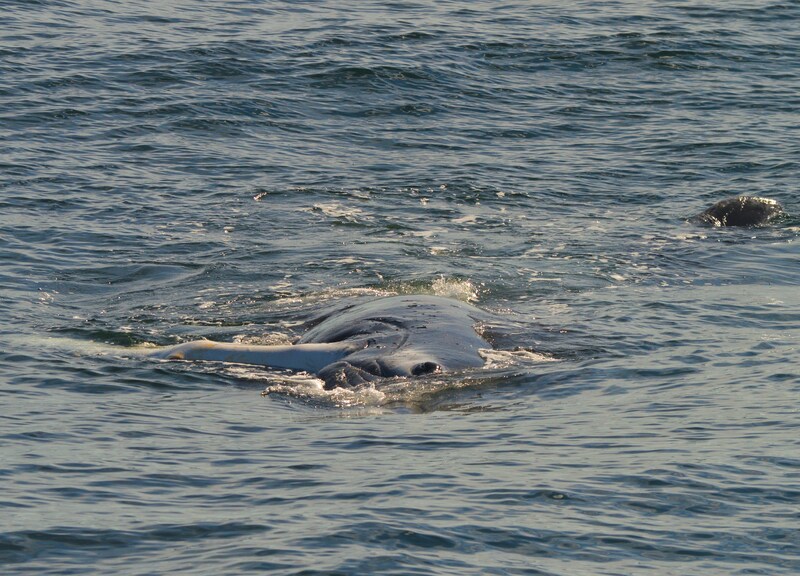 As the humpback rolled onto its side, we noticed a lamprey attached to it. We don’t see these on the whales often. 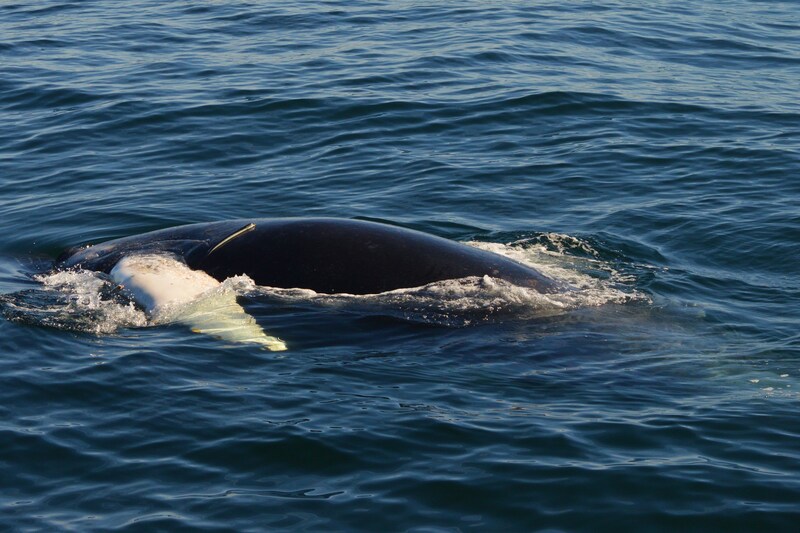 An unusual sight- a lamprey attached to the whale just behind the pectoral fin. Rolled over on its side- the pectoral fin is to the left, the eye is the spot in the middle, and the fluke is just breaking the surface on the right. We moved our boat very little throughout the entire trip- we really didn’t need to! 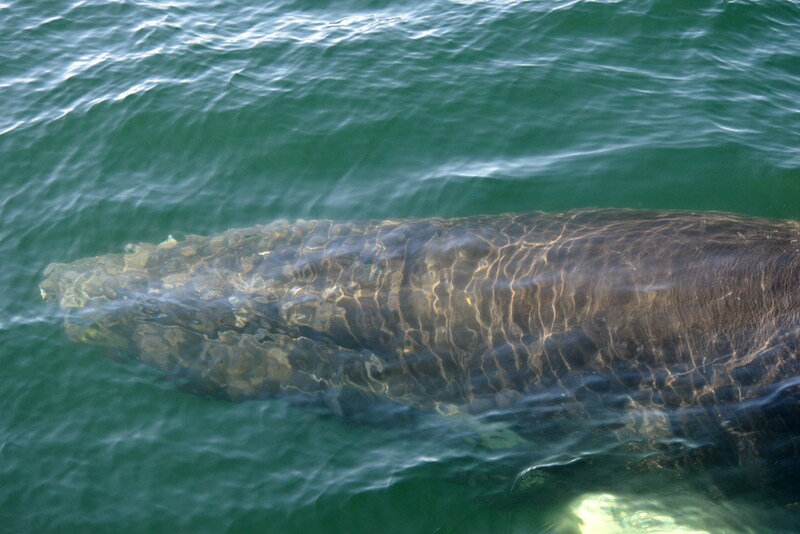 So imagine our surprise when a large basking shark surfaced a few hundred yards away. 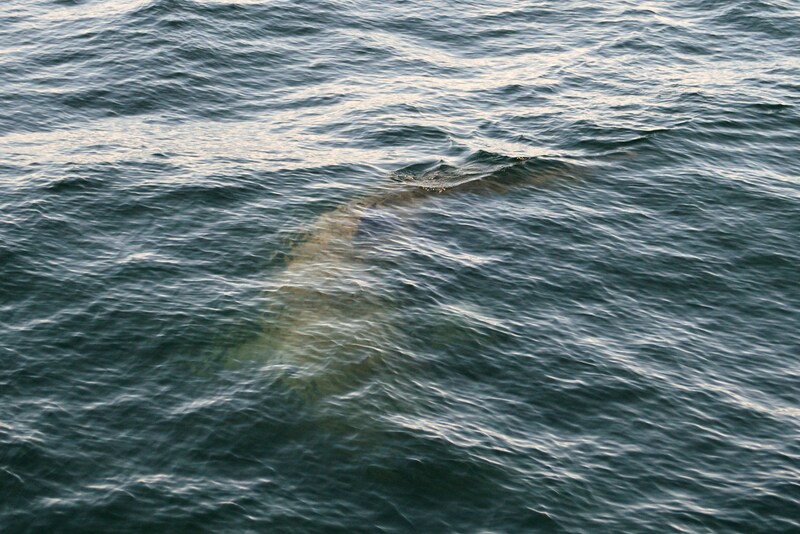 We had some great looks at the shark, including watching it turn toward us and swim downward before making our way back over to the humpback. 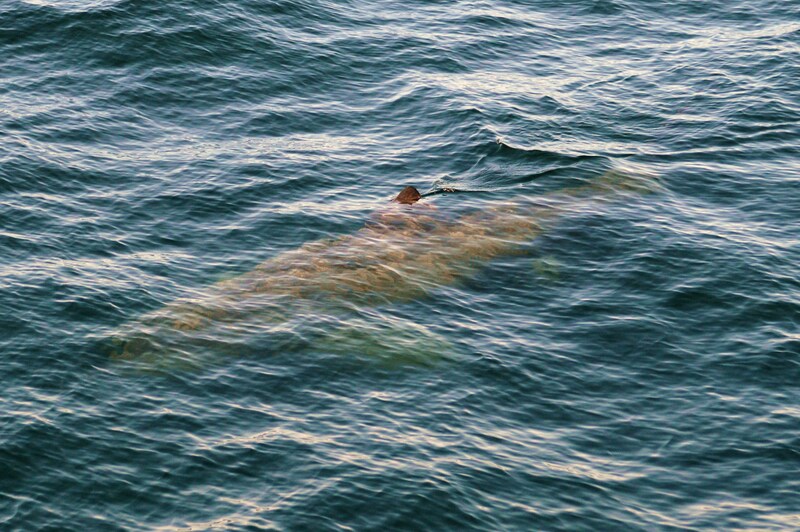 The basking shark turns before diving deeper into the water. 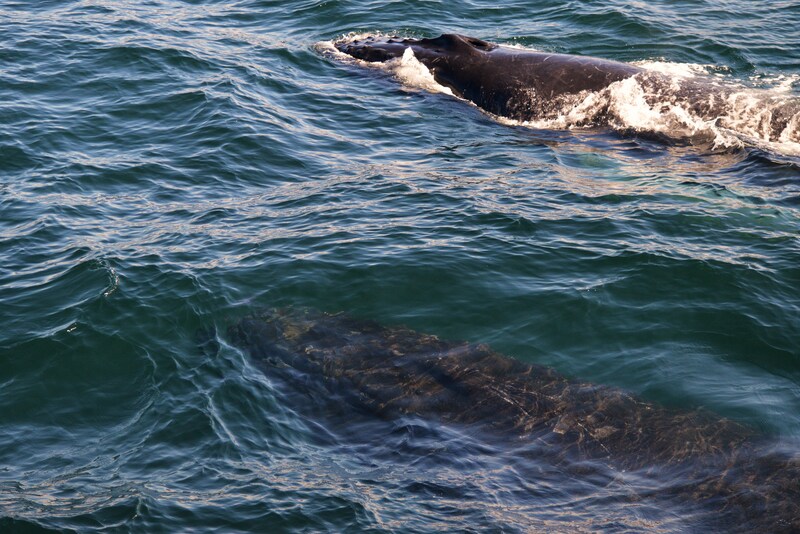 In addition to these two species, we had brief looks at a minke whale and harbor porpoise on the way out, and watched a gray seal in the harbor before making our way to the dock.